I don't know what was she thinking about but she gave me a chance to click the picture. 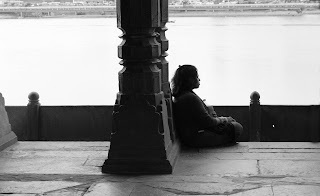 This shot is taken by me in Yamuna Bank Agra India. Hope you will love it.